When I was a younger audio engineer I always found myself frustrated when comparing my final mixes to commercial releases. I’d connect my iPod to different sound systems and A/B only to find my mixes pale in comparison to professionally engineered productions in terms of volume, presence and impact. 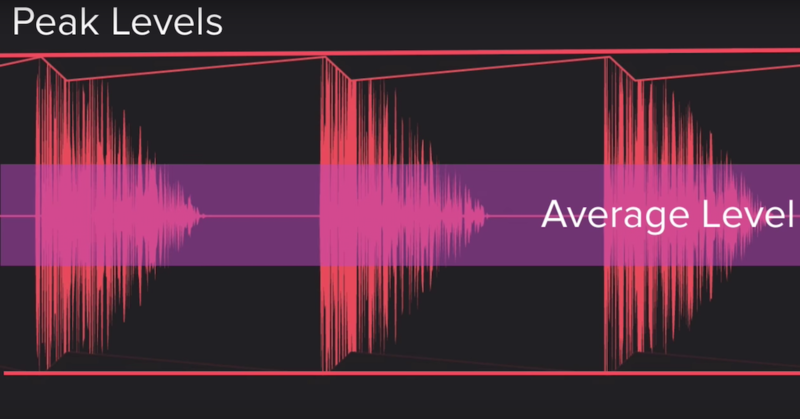 Here are several tips, and five plugins (and in some cases, their hardware counterparts) that, if used properly, can help increase the perceived loudness of your mixes. Disclaimer: The key to making the most of these tips is thoroughly understanding the difference between Peak and RMS. Additionally, I have recently switched from sending all tracks directly to the master bus to first through a series of sub-auxes which include drums and bass, all other instrument and vocals. I recently demoed this plugin (which models the Neve classic) and found it does something that very few other plugin compressors can do. When used on the master bus, reducing only about 1.5 dB and with a fast release, it offers an overall boost in RMS without introducing pumping and other negative artifacts. 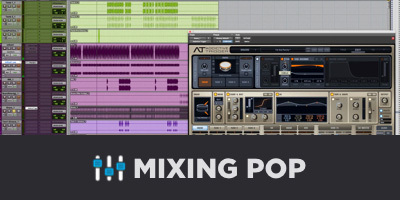 I wouldn’t call it transparent as it adds impact, a clearer sense of space and a bit of brightness to most sources, but it certainly won’t negatively alter the dynamics and balance of a mix when used correctly. Just in time for the UAD sale! 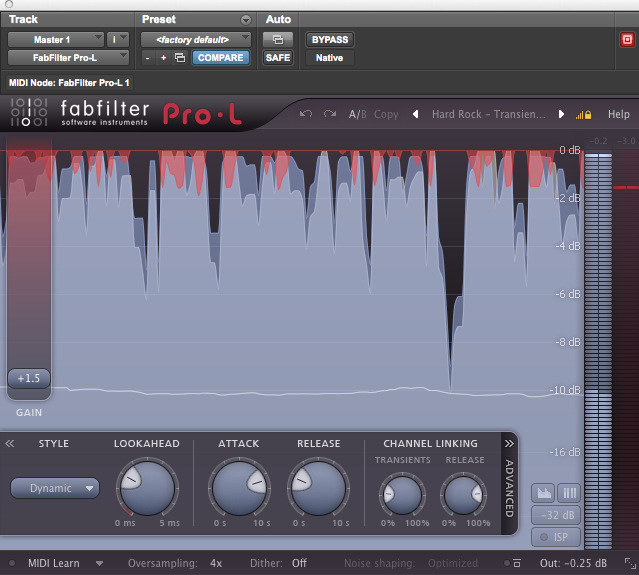 FabFilter Pro-L has definitely become my go-to limiter for most material. 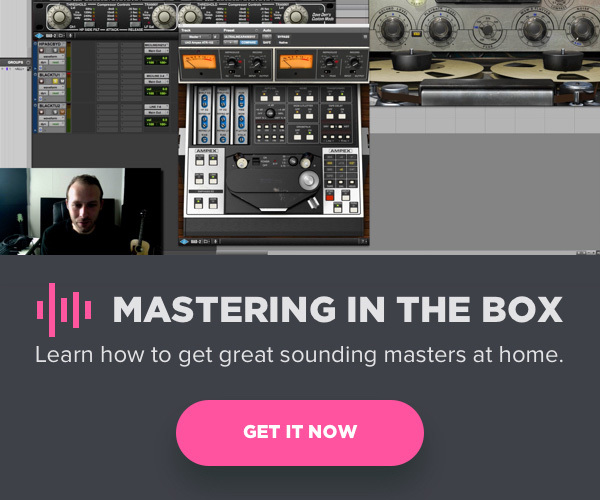 It’s versatile and offers a lot of control, so the learning curve is a little steep, but once you understand all that this plugin can do, it’s hard to refrain from placing it on the master bus. It adds brightness and brings content forward, so be careful to not overdo the gain reduction. A key feature of this is the real-time RMS readout. I can see exactly how loud my mixes are at all times, truly a great limiter for someone wanting to understand the process better. The L3-LL offers a similar hype as the famous (and perhaps overused L2) but in a multiband compressor format. I’ll set my threshold so that the material is rarely subject to significant gain reduction, and use another limiter such as the FabFilter Pro-L to do the heavy lifting. 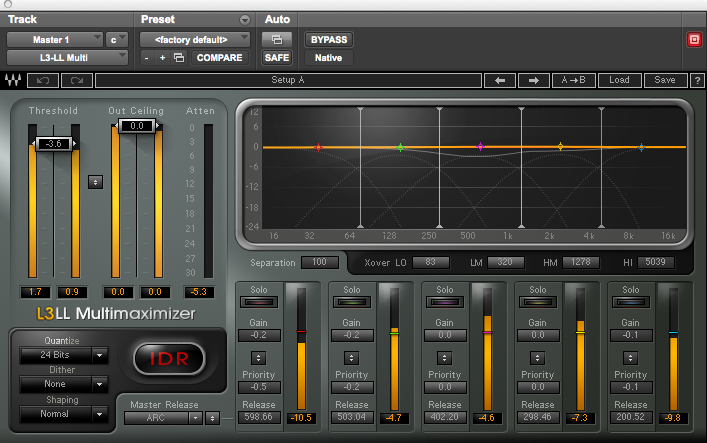 Because it’s multiband, I can use it to compress problem areas like low-mids. Or sometimes just use it on the vocal aux to gently compress the sibilant 7-9k range. I consider this another masterful job from UAD modeling classic and sought-after hardware. I’ve never heard a plugin do what these do. The Studer A800 offers more of a warm, vintage tone, and I often use it on individual tracks that need to be prominently featured in the mix. You’ll also find it works well on sub-auxes and the master bus. The ATR-102 offers a different flavor, boosting the highs, creating a more defined sense of space, and helping in raising the RMS of a mix. Be careful to not push the meters into the red as it will crush transients and introduce unwanted distortion. 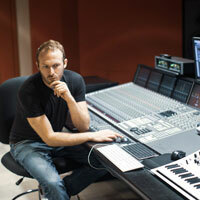 The Glue is modeled after the famous SSL Master Bus Compressor but offering the key feature of a dry/wet mix knob. With the SSL compressor I only feel comfortable reducing about 2 dB of gain before my mixes start to pump, lose bass, and feel lifeless. With this I can push a bit harder (4 dB of gain reduction) and simply turn the affected signal down with the mix knob, essentially creating parallel compression but with fewer steps. Using a slow attack and fast release, this plugin offers exactly what its name suggests.